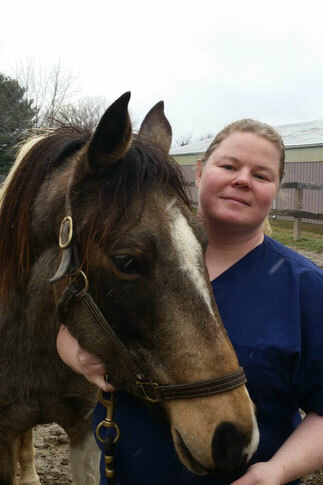 Dr. Valerie Latchford is a 2004 graduate of the Royal Veterinary College, University of London. She spent several years working with both small and large animals, and developed a special interest in management of chronic medical and orthopedic disease, and rehabilitation after injury or surgery. After realizing that conventional medicine sometimes fell short of treating and managing pain and disease, she began looking for a more comprehensive answer. She was certified in veterinary acupuncture by the International Veterinary Acupuncture Society in 2013, and certified as a canine rehabilitation practitioner by the University of Tennessee in 2017. She founded Now and Zen Veterinary Services to provide in- home acupuncture to both large and small animals. Please call 301-991-7629 or email using the contact form to make an appointment. If we do not answer, please leave a message as we may be with another patient. We will get back to you as soon as possible. Some evenings and weekends are available.